The Supreme Court on Monday refused to stay the recent Health Ministry notification bringing into force the Cigarettes and other Tobacco Products (Packaging and Labelling) Second Amendment Rules, 2018 from September 1. The Amendment Rules stipulate two images depicting the manifestation of cancer, as specified health warning, to appear on the package consecutively during the rotation period, with an interregnum period of twelve months. 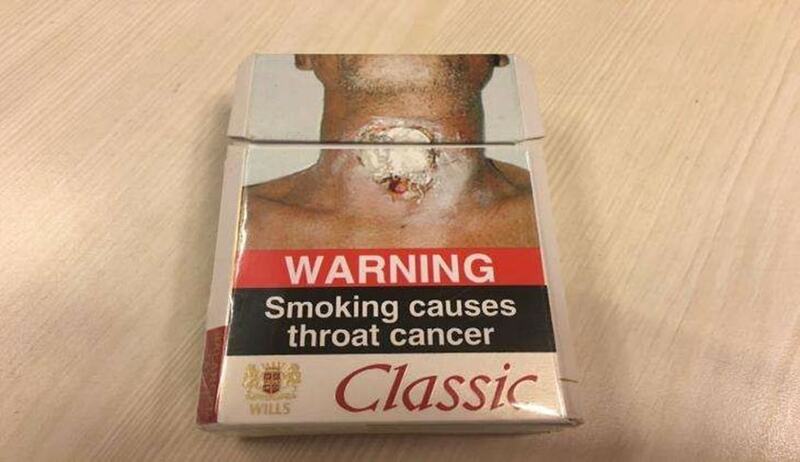 By way of the Textual Health Warning for smoking and smokeless forms of tobacco products, they provide for the phrase “TOBACCO CAUSES CANCER” and the phrase “TOBACCO CAUSES PAINFUL DEATH” to be displayed in white font colour on a red background, and the words “QUIT TODAY CALL 1800-11-2356” to be printed in white font colour on a black background. The intensity of color in the background of the textual health warning, its font type, colour and resolution is to be exactly of the quality as uploaded on the Ministry of Health and Family Welfare’s website. It may be noted that the Supreme Court had on January 8 granted an interim stay on the Karnataka High Court judgment dated December 15, 2017 striking down the 2014 amendment to the Cigarettes and other Tobacco Products (Packaging and Labelling Rules) of 2008. Rule 3(1)(b) of Cigarettes and other Tobacco Products (Packaging and Labelling Rules) of 2008 as amended in 2014, necessitates that the statutory health warning, to be printed on packages of cigarettes, pan masala, and other tobacco products, shall cover at least 85% of the principal display area, constituting an increase from the earlier mandate of 40%. The Rule requires 60% of the space to be devoted towards the pictorial depiction of mouth, throat and lung cancer and 25% to textual health warning. Justice D. Y. Chandrachud noted that the freedom envisaged the right to make an “informed choice”. “Then Can it be said that if one eats chocolates, they run the risk of becoming diabetic which may lead to glaucoma?”, asked Mr. Rohatgi rhetorically. “Your analysis is wrong...it is that if you have diabetes, then you should abstain from chocolate”, remarked Chief Justice Dipak Misra. The bench, also comprising Justice A. M. Khanwilkar, declined to accede to the request for stay, adjourning the matter for hearing in August.